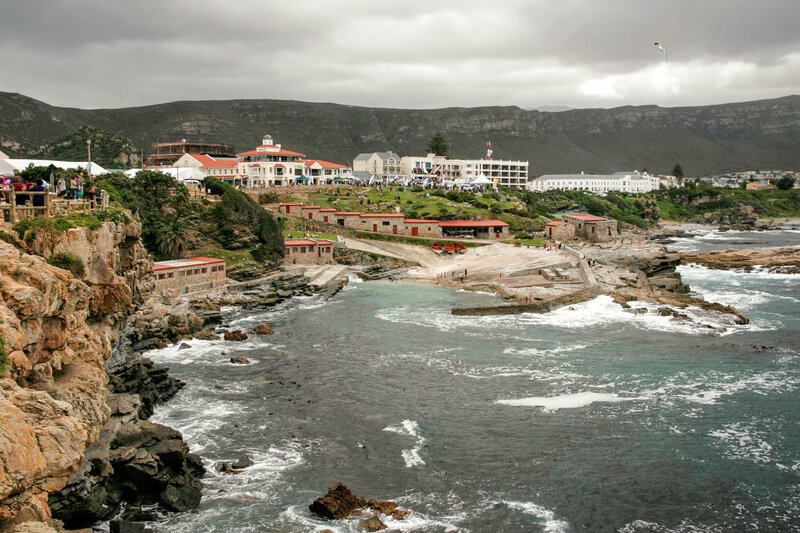 Hermanus developed around the Old Harbour from a humble fishermen’s village. Fortunately several of the oldest buildings still exist and form a historic heart of this busy holiday destination. The Burgundy Restaurant building and adjoining cottage were built in 1884; the old school house (which is now a photographic museum) was dismantled and moved brick-by-numbered brick to its present location; and the Rossouw Gallery and the Fisherman’s Cottage all date from the late 1800’s. 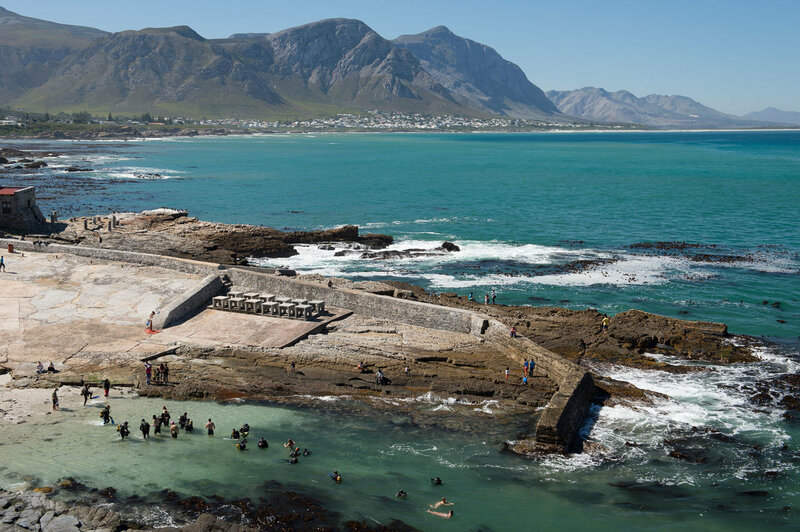 All the historic buildings are used as business premises and form part of the vibrant and characterful daily life in Hermanus. The town centre, roughly a kilometre square, reflects the main economic driver of the area: tourism. New boutique hotels and modern apartments offer accommodation whilst dozens of restaurants, pubs, boutiques, galleries, gift shops and jewellery shops provide entertainment for customers visiting the craft and curio markets. 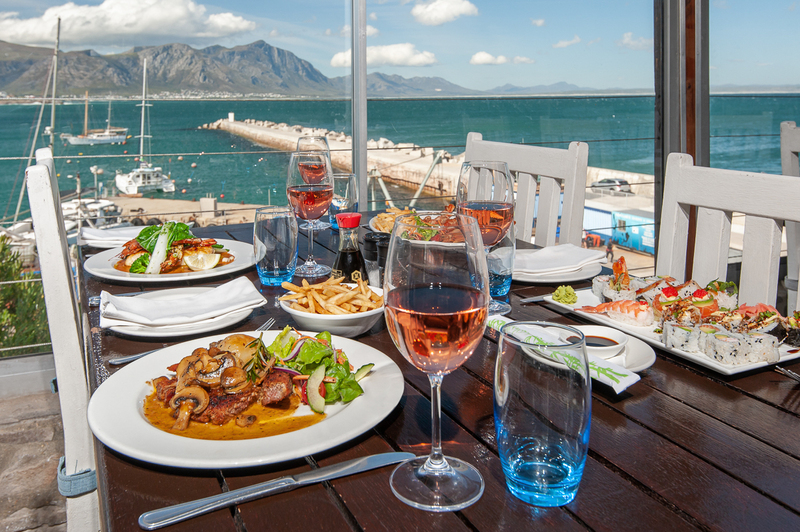 While tourists flock to the seafront to line the cliff paths, picnic on the amphitheatre, sit in restaurants or gaze across the bay from Gearing’s Point, the general town life continues at a steady business pace a few blocks back. Local businesses are complemented by large chain stores and general suppliers to provide almost everything required in a flourishing seaside resort. Business premises vary from modern, well furbished spaces to little fishermen’s cottages with quaint and quirky spaces. 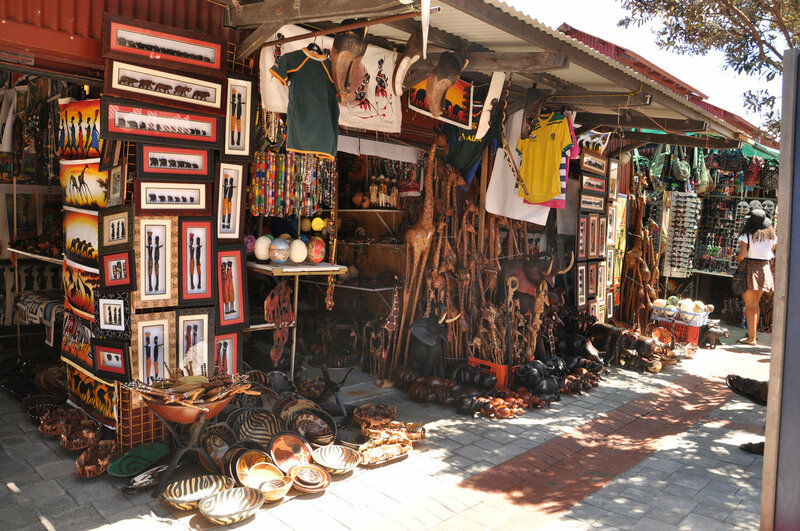 The town is particularly pedestrian friendly with many little alleys and lanes linking different blocks to each other and providing loads of rewards for the exploring shopper. Whatever your business for the day might be, as a tourist or local, it is always lovely to take a stroll through town as the quiet bustle keeps at a constant and the backdrop of mountains and ocean take your breath away.